Mike Walsh, best-selling author of Futuretainment and CEO of innovation research lab Tomorrow, is a leading authority on the digital future. Mike‘s expertise is explaining new patterns of consumer behaviour and disruptive technologies in emerging markets. His advisory work and keynote presentations provide unique insights into the growing influence of new markets on breakthrough innovation and business transformation. 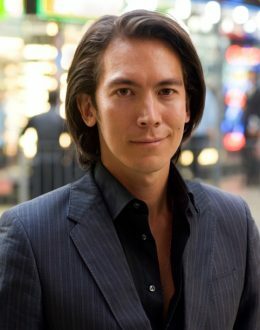 Mike Walsh helps to prepare business leaders for what‘s next. Rather than focusing on the distant future, Mike takes an anthropological approach – scanning the near horizon for disruptive technologies and consumer innovations on the verge of hitting critical mass, and then translating these into usable business strategies. A global nomad constantly traveling the world for the best ideas – Mike distills the most relevant insights into tailored keynotes that allow any audience to not only understand, but also start to inﬂuence the future direction of their industry. Mike is an expert on emerging markets. Mike‘s new book The divergence, charts the rise of online consumers in the fast growth BRIC markets. His central contention is that tomorrow‘s Web will be radically different to conventional Western models and will require entirely new engagement strategies. Mike previously ran the market leading consumer insights house Jupiter Research in the Asia Paciﬁc, and held senior strategy roles at News Corporation in both the Australian and Asian markets. In his current role at Tomorrow, Mike has advised the CEOs and senior management teams of companies such as the BBC, Fujiﬁlm, Richemont, MSN, Star TV, P&G, Televisa, Hutchinson, Philips, Grey Advertising, Schwarzkopf, Roche Pharmaceuticals, BT Financial and HSBC. Futuretainment published by Phaidon recently won an Art Director‘s Club award in NYC for design.